It’s officially a Full Moon in Cancer on January 15, 2014 at 11:51 p.m. EST. With this Full Moon, it is a good time to take care of family, finances, and being responsible in business and relationships that is nurturing. The moon is healing. 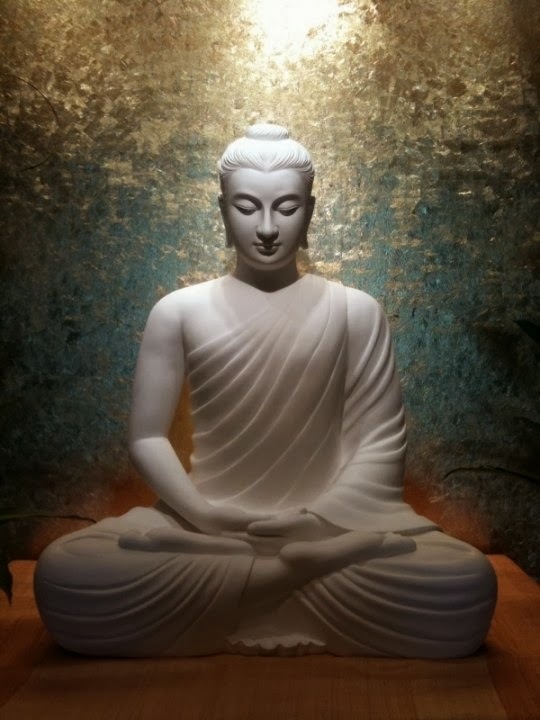 With the Full Moon in Cancer we have an abundance of healing and the ability to manifest a higher consciousness connected to spirit. In fellow water sign Scorpio, Saturn resides, and in Pisces' watery embrace, Neptune graces the heavens along with Chiron. This reminds us of our responsibility to understand, know and experience on a level within and tapping into our subconscious power. All that comes into your awareness through your emotions now, is important to listen to with greater acuity. You have the power to heal your life and become more in tune with your higher consciousness. Your compassion will unite you with a higher vision that is whole and moves you beyond the limitations you encounter within yourself and in the world. Your compassion leads you change how you live and it affects you and the lives of countless others. Bathing with a spiritual, soul cleansing intention and connecting to the importance of the water element and healing will serve you well. Everyone’s view of the world is changing. Consider, through all of your experiences, that the intention is to heal and be healed on a soul level. This Full Moon is a very magical moon that draws on a strong feminine, goddess oriented connection to the world. This moon is surrounded by the desire to initiate and create, colored by honoring one's personal truth. Facing those areas in life that feel heavily established and that may conflict with our inner need for personal security and freedom gives us the chance to reach higher in life knowing that our spiritual selves need to shine through in our actions and reactions with greater vibrancy. There is a great transformation taking place now, a longer trend, that this Full Moon sheds light on and brings to our attention with greater clarity. It is how we as individuals relate to, and feel comfortable with, or don’t feel comfortable with our place in the world relative to society, its establishments, and how people play their roles within those establishments. You may notice in particular, Cancers, or those with planets strongly placed in Cancer, are those who bring up these concepts with greater fervor than others do now. You can expect emotions to run high for some at this time, a common characteristic of the potency of Full Moons. Some people could feel hysterical, even on the verge of tears depending on their personal life circumstances. Comfort those that need it now. Even if they are putting on a tough exterior, many are feeling vulnerable inside. You may also notice that those who feel a strong affinity for this Full Moon, especially Cancers or those with their moon strongly aspected to this Full Moon in Cancer, could have an opportunity to move up the career ladder. A proposition that helps in the sector of career could certainly pop up, so be open to the possibilities. If you're feeling swayed by this Full Moon, do your best to look for the positive options. At the very least, focusing on how to improve your stance in career is beneficial now with inner wisdom arising at just the right moment. One’s level of personal comfort in their own lives in relation to bureaucracies, governmental and corporate bodies, educational systems, religion, supply chains in commerce and food industries, law and order, and banks can certainly be brought up for consideration now. For some, how high people want to go in life, can sometimes be dictated by how the systems built around us that are strongly set in place in our society influences an individual’s ability to achieve. Policies and procedures can feel like they just aren’t there to truly support the best interest of the individual facing the larger establishment. Depending on what you know, establishments can stifle or support your aims depending on how you are willing to play along with said establishments. For many, money matters, career matters, and how these affect our relationships are highlighted now. The concept of the rich get richer, while everyone else pays the bills, is a common perspective held by many now. Debt, and its accompanying interest rates, looms for many people and the need to move beyond that way of living is hitting home for many. Saturn is pushing for people to be responsible, which is highlighted by this Full Moon. These considerations and feelings towards bigger establishments, awakens people to acknowledge with greater clarity that there are a lot of steps necessary as one meanders through life, facing many hurdles as we climb uphill. It is true that in our western society life can sometimes feel like making decisive, conscious moves in a game of chess. One thing leads to another, while each desire has many requirements to make it happen. The desire to move from being a "pawn" to a "King" of sorts is real for many, but it’s also important to consider that it is the "Queen" that has a lot of power in the bigger picture However, a lot of people don't want to play that game. A lot of people, aren’t really interested in power of such caliber, but would certainly appreciate having at least a sense of more power in their own lives. They are more interested in being allowed to enjoy life, however humble, without the higher establishments getting in the way of that happiness. Acknowledging that there are so many set-in-stone walls one must face as one wanders through life like a labyrinth, can certainly get under some people’s skin now. It reinforces the idea that there is, to a degree, predetermination in our lives, that in a way dissolves part of one’s concept of free will. This can be highlighted for quite a few people during this Full Moon. At this time, many will contemplate if the obligations required of us, that can seem to hover above us, are fair or not. This can feel counter to the desire so many have to do what they love in life. Venus retrograde in Capricorn now, ensures many are looking more deeply at how to embody a path that one truly adores. All the little details and obstacles that we have to deal with in life ultimately lead into the bigger themes of our lives. How we relate to one another, how relationships build and how we connect to each other and the higher calling in life to live in joy and fellowship. Through the obstacles, we can move towards the light. 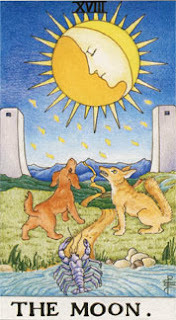 In the Tarot, the Moon card is associated with the sign of Cancer. Take a moment to contemplate the imagery of this card. What thoughts comes to mind when you look at the artwork of this card? These bigger considerations of society, which touch us personally and emotionally, are a catalyst to consciously stepping towards being the change we want to see in the world. It is important to recognize this so we can consciously move away from focusing on thoughts that are stifling, towards those that allow you to know that you can achieve success on your own terms. Even if it seems like only one person is powerless against that which is already established, the truth is, one person truly can make a difference. You can make the difference in your own life. Focusing on being grateful shifts our attitude and our trajectory through the jungle of life. Compassion is a major part of this Full Moon as well. With the Moon in Cancer having a natural connection to Pisces now, many are seeking to understand how and why humanity needs to improve our sense of compassion towards one another. When you, or someone you know, has their level of comfort and security challenged because of how life is unfolding relative to the established rules that govern via the systems we are a part of, compassion and understanding is the key to greater dialogue and understanding who we are as human beings. The business world can often seem cold and lacking compassion, with rules and policies superseding any empathetic connection towards other people. Is this how we truly want to live? So, in any small way or large way, your demonstration of authentic compassion to others, impacts not only them, but it shifts consciousness towards people recognizing the value of uniting at the heart. Through this, we also impact unseen levels that reach into the collective consciousness. As the individual mind shifts, so does the collective. With Mercury in Aquarius, the need for freedom and independence is on the mind of many, and it also shifts our thinking towards how we as humanity live and connect with one another. Seek out those of like mind. It’s important now for people to know they are able to be creative and inventive and to feel satisfied and fulfilled in the roles we play in life. You can reinvent your life. Some people may just want to get away for a bit and have time to themselves to figure out their place in the bigger picture. Watch for synchronicities, especially those that teach you, and remind you of, lessons about believing in yourself and letting go of attitudes and behaviors that limit you. Remember that you can often be your own worst critic, and you can certainly be a very strong determining factor in how your life plays out. You have the power within you to shift your mind, shift your actions and your reactions. Also, be conscious of those who are sharing with you that they feel defeated, or don't believe in themselves. Give these people a compassionate and understanding ear. Many people are big-picture oriented in their goals and achievements but reading the fine print is also very important. Some people may actually be dealing with some consequences right now due to overlooking the finer details. For many, less is more. Some will feel like being in their own bubble allows them to have more freedom to make choices the way they want. So when choosing to get involved in bigger establishments, ask yourself if you want to be a part of that rule book. Are you up to walking the established path, or are you going to be more comfortable and creative with treading your own path? It’s always a good practice to read the fine print so you can make a decision about what you do and don’t want to get involved in with more authority and knowledge of how your life may play out if you do or don’t follow the rules. Choosing to be responsible, in your own right, and putting plans in place, and getting things in order will ease your mind. Putting things in order so you feel comfortable will allow to you set the stage to move into the higher vibration of this Full Moon. It’s important to recognize that your life is your theater, and you get to be a major contributor to the script. You may not get to write all the lines, but you do get to certainly play around with how you act them out. Starting with your home environment, create a space that allows you to feel secure in yourself that will nurture your creativity. Your creativity now, will be a strong method of purging yourself of baggage, giving you a stronger sense of control. Your karma gets to make a shift now, impacted by your ability to focus on what makes you feel joyful. Focus on that. What people want is to feel like their life has meaning, that they are able to use their life meaningfully, and to be able to do that without being stifled by policies and procedures that disrupt that desired flow of their natural gifts, talents and feeling of personal abundance and freedom. Your creativity can be your saving grace to help you step closer into the realm of your free will. 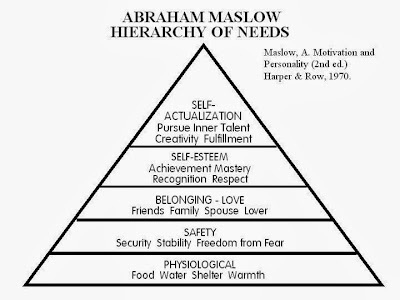 Take a look at Maslow’s hierarchy (see image below).Once people are comfortable, and have their basic needs met, then we have a natural desire to be creative. That’s one of the highest goals of humanity, because it puts you in tune with being a co-creator with the universe, which is your birthright. For those who can feel depressed by life’s circumstances when the moon is in full swing, it’s important to avoid escapism now into drugs and alcohol. Temporarily forgetting about the structure around your life may seem like a good idea at the time, but it doesn’t change anything for the better in the grand scheme of things. What does make a change is how you approach bringing more of what you feel in your heart, into the world by demonstrating and embodying goals that create a shift in your own life, and thus in the bigger picture. Yes, there are rules and regulations in life, but for many areas of your life you do have a lot of wiggle room to make choices and be on top of things so you can work with the systems. And yes, it can seem like others are not always on your side and are just going through the bureaucratic motions without any consideration or compassion for your feelings. But, also remember that through these experiences we learn valuable lessons about what we want in our lives and what we are willing to get involved in. Until you learn the lessons, they will repeatedly manifest themselves in different situations until you get it and move beyond them. Your compassion for others and their mistakes as a part of the human collective, raises the vibration of the whole so that we can together, slowly shift the karma and direction of everyone’s lives for the better. As the Sun sheds light on the considerations above, it shows us that a plan of action is best. A plan that honors ourselves so that we can be who we desire to be and recognize ourselves as living honestly and abundantly through our choices and actions to manifest a life that feels worthwhile and comfortable. Get creative during this Full Moon first and foremost by getting clear with how you envision your life and how you want to relate to the world. Get comfortable within your bubble of consciousness. Make it your own, and make it your place of experiencing and manifesting the best life you desire. 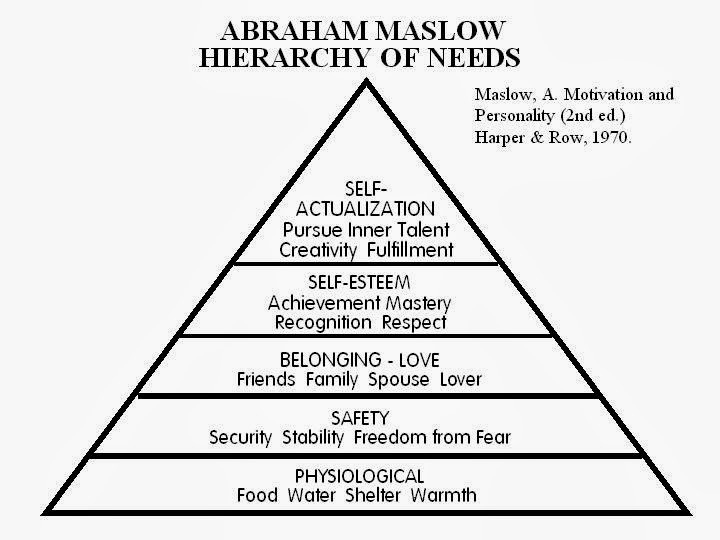 What level on this chart do you feel you are focused on most these days? Do the establishments that connect to your life help or hinder you from climbing higher towards your truth and your birthright to be a co-creator with life? How can you transform your consciousness - your mental, emotional and spiritual perspective - to achieve what you wish for your life and to raise the energy for others because of what you have to give and share?